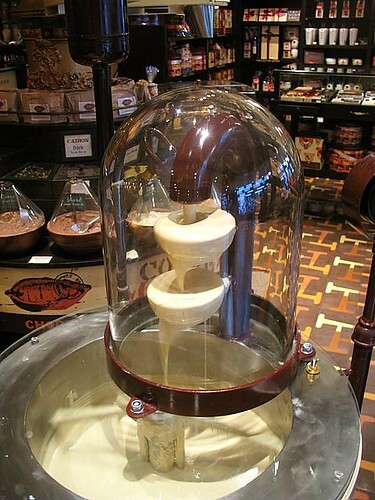 The new Manhattan Max Brenner cafe/restaurant/chocolate shop, which has only been open for three weeks, already has all the makings of a complete Willy Wonka experience, minus the Oompa Loompas. Willy’s been replaced by a charming fashionable bald Israeli man, but if you’re anything like me, this restaurant is a dangerous place to be, and you’ll have to resist the temptation of going completely Augustus Gloop on the place. 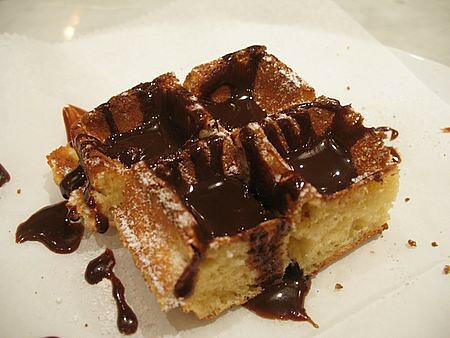 Waffles with Chocolate Sauce, which was put out for sampling. 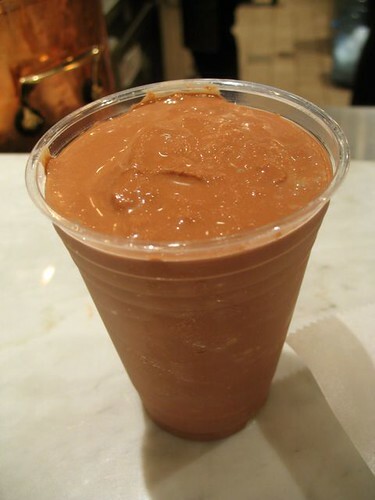 Dark Chocolate Granita. I highly reccomend these. 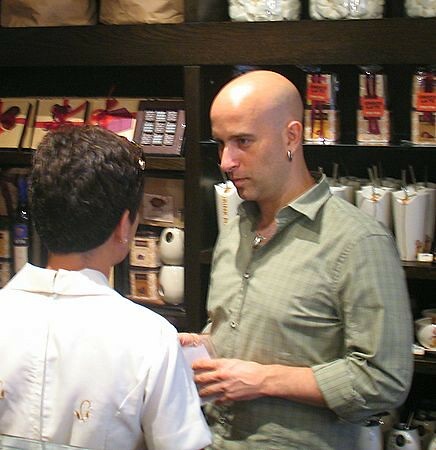 The “Bald Man” himself, Oded Brenner, founder of Max Brenner chocolates. This entry was posted on Friday, August 25th, 2006 at 11:28 am and is filed under Food, General, Links, New York City. You can follow any responses to this entry through the RSS 2.0 feed. You can leave a response, or trackback from your own site. 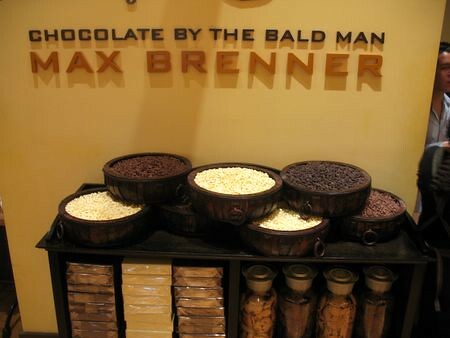 It’s crazy how Max Brenner (who is a fictional character by the way!) chocolates has exploded. 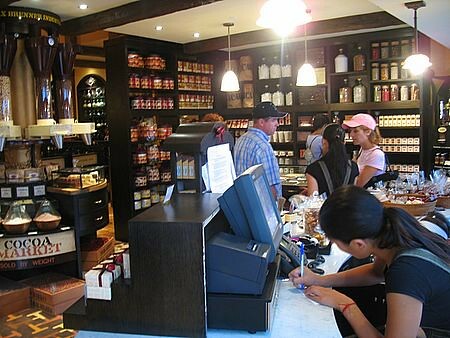 I remember when it was just a small little chocolate shop on emek rafiam street in Jerusalem just 10 years ago. The brand was actually purchased by Elite a few years ago. At the restaurants in Israel you can get a salad with white chocolate shavings. Do they have that at the NY branch as well? I have to say, the NY branch looks substancially cooler than the two here in Tel Aviv and Herzliya. Wait a second, are you telling me the guy in the photographs above is an actor? He told me he was Max Brenner! The woman he was with was his publicist. Lol. No actor. 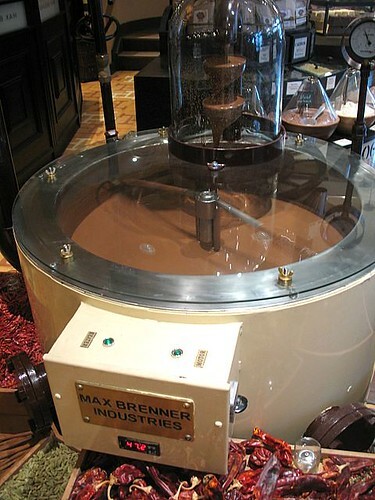 The name Max Brenner is the combined names of the two founders – Oded Brenner and Max Fichtman. I think that is Oded pictured above. It’s marketing baby! So what did you eat!?!?!? You’re correct, Harry, I’ve corrected it in the blog. What did we eat? 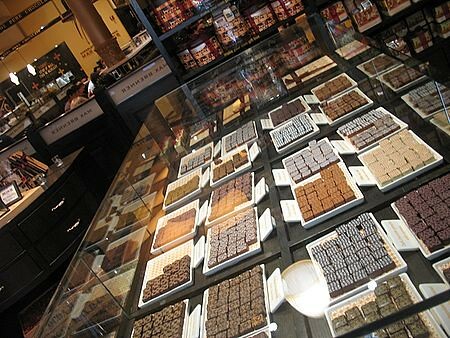 I got two of the brownie cookies to take home, we had two sandwiches, a ham and cheese and a chicken with sundried tomato, the dark chocolate granita, and Oded fed me some dark chocolates from that large glass display case. lucky you. if oded fed me anything i’d melt into a pool. 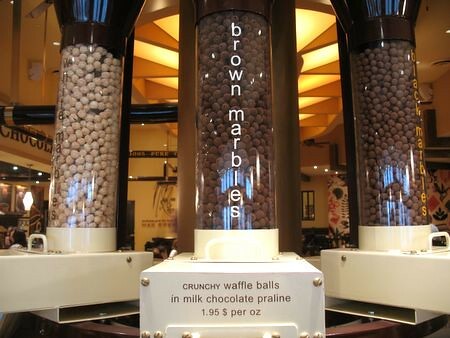 Chocolate Crunchy Waffle Balls – $1.95 per oz! ARE YOU INSANE!?!?!?!? That’s $31.20 a pound! The best steaks are less than that! Yuppies are nuts! I was going to say that about the waffle balls. Insane. Are they worth it? So….. how are the prices at the souvenir shop? Anyone has prices for hug cup? suckao cup? 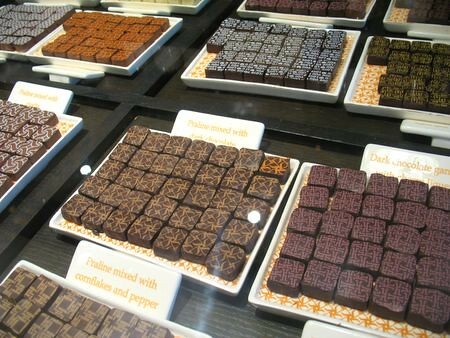 I am very interesting about who is investing to Max Brenner’s chocolate shop ??? 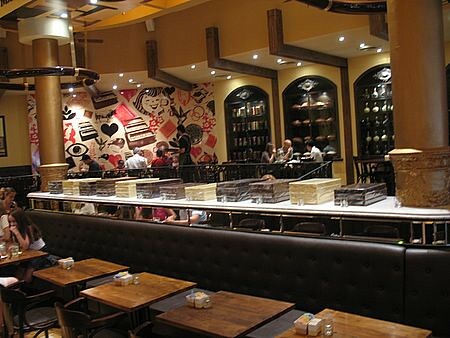 Max Brenner is owned by Elite, a large food and confectionary company based in Israel. WOW I want to go there lol !!! 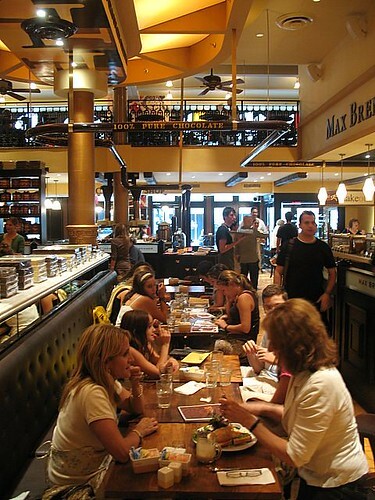 Bet you won’t find any Mormons there though…..
My 19 year old son took me to Max Brenner in downtown Sydney Australia this past July. Had the spicy Mexican hot chocolate and fresh strawberry chocolate fondue. To absolutely die for. I am booking my flights back to “visit my son”, but to really go back to Max’s. 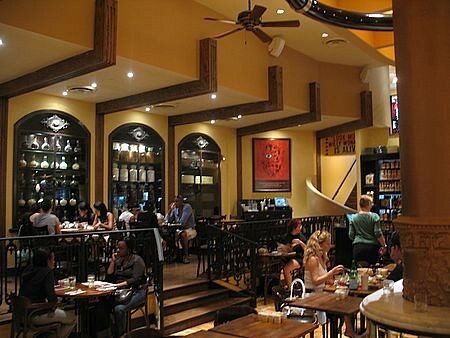 Max Brenner is something else! We are witnessing a chocolate revolution and Max Brenner’s kinda like fonzie jumpin over the shark. 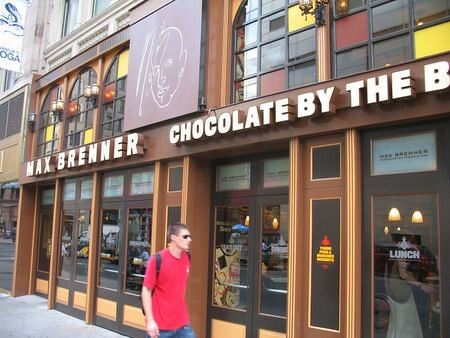 The Chocolate “lifestyle” as we know it is now dead and gone with the creation of his 5,000 square foot Applebee’s in Union Square New York. Trendestters like Jacques Torress are alive and well not like the candy-created vision for which Wonka-like “Max Brenner has been created. Well iIt was fun while it lasted. 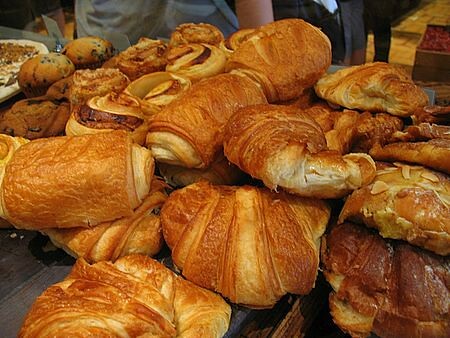 Me, I’d rather feast at the originals, Payard, Maison du Chocolate, Chocolate Bar and Li Lac. Give me back the old days please…. 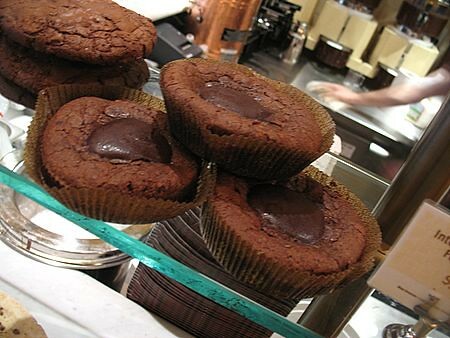 Normally I can resist sweets, but Maxie Brenner has me drooling and reaching for an insulin shot. These photos are amazing. I’m going to have to go and check this out. And then I won’t be able to fit through the door to leave, I’ll have to live there forever and ever. At least I’ll save on rent. This place is absolutely the best place I’ve ever seen in New York. I recently went to sydney on holiday and discovered this shop and fell in love with it. 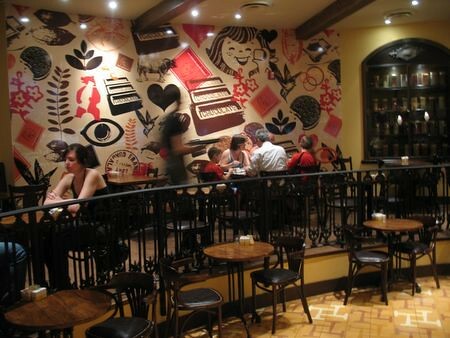 Unfortunately i live in new zealand and can only dream of it as there are no Max Brenner cafes in New Zealand. I am so hoping it comes to New Zealand.! Only the boxed stuff from Israel. I JUST WANTED 2 KNOW IF U GUYS KNOW WAT TRAIN AND STOP IS BY THIS PLACE???? IM VERY XCITED 2 GO THERE!!!!!!!!!!! When did this open in NY?????????????????? I went to this place last weekend. The service was totally horrible. There was a brown-haired waitress that was the rudest, most conceited person I have ever met in my life. Never going back! and the place is so over-priced. 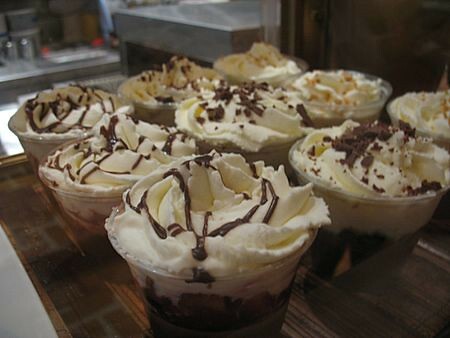 go to veseleka for your coffee and deserts. Hi. I cited your article in my own review about the restaurant. Thanks, and check it out! omg! this looks fantastic! i am DEFINETLEY gonna try this stuff out!!!!!!!!! This place is amazing. yesterday i descovered it, and i fell in love. I work there. Everything is kosher. 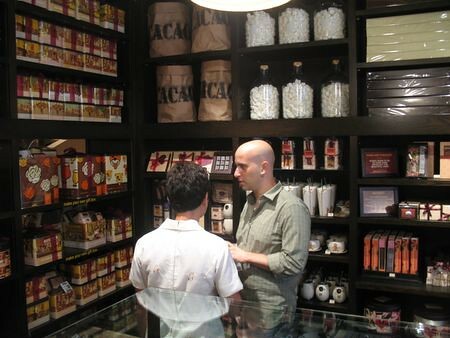 Oded Brenner is now “known” as Max Brenner, he created the whole idea and concept, it’s not a “marketing baby”. Hey are there no maxs in NZ? Come on !!! I had the ultimate experience first on a holliday to paramatta, Australia. If its on the cards, this place would go of in my little country! If I am stupid, tell me where I can order these wickid chocolate products in NZ. Please. Best hot chockys ever. 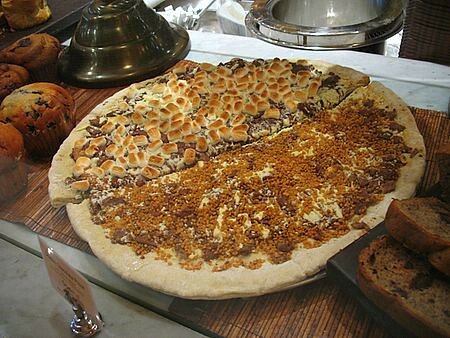 I ate at the NYC location at 14th st and had the Chocolate Mess gooey cake. It was awesome! If you want bad service and food cooked in dirty pans then go here. Also, noisy from workers fixing broken furniture. Nina, did we go to the same place?!! I was there today, a day after you, & the service was excellent, the food was chocgasmic!!!! The mexican spicy hot chocolate was out of this world. Everyone says the food is bad, but I really enjoyed the tofu sandwich with salad (a bit more dressing then I might have preferred, but tasty). Anybody else enjoy the food or am I crazy? The food was slowish, but in compensation (which seemed overkill, because it wasn’t that slow) I was instructed in no uncertain terms to order a free desert (that’s a good thing)! Since my server was someone other than the manager-type who told me that, it was rung up on the tab, but then they took it right off…and I loved it, it was the amazing chocolate cake the New York Magazine article hated. I’d describe this place as “Manhattan Casual,” with atmosphere, prices and food (pretty respectable veggie sandwiches, as least) to match. I’d certainly go back. It isn’t a “power lunch,” kinda place, but it’s fun and I found the food to be quite edible. MS. D.C. DEB ….FROM BREEZEWOOD, PA.. Someone above mentioned Mormons don’t eat chocolate. Hahaha… I’m about as Mormon as they come and I’ll tell ya, I can’t wait to go this place! The mo’s most certainly eat chocolate. … and I’m about to gorge myself silly. Why would you need a pound of waffle balls?? One would think they are light any way. I think Max or Oded is pretty cool and he was great on Paula Deen`s show. I guess they had that scene planned where she squirted him with the chocolate syringe. They are two over the top people that know how to have a good time. WOW! What a place…I’m drooling just looking at the pictures. This rates a trip to New York all by itself. I’m a confirmed chocoholic and proud of it. 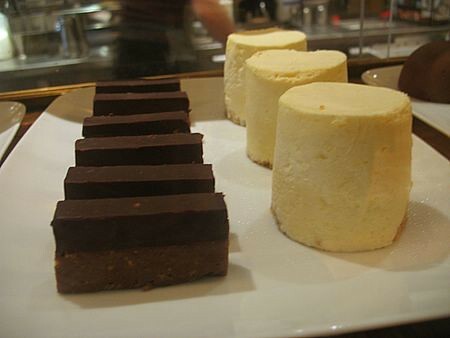 It’s about time someone devoted a quality restaurant to chocolate. HI MY NAME IS PETER SOOKRA FROM THE CARIBBEAN TRINIDAD AND TOBAGO I SAW YOU WITH PAULA DEEN AND JUST LOVE THE CONCEPT EVER TAUGHT ABOUT HAVING ONE IN THE CARIBBEAN . This place looks lush! I take it it’s expensive compared to regular candy stores?